Out of stock since Friday, 12 April 2019. Due back Friday, 26 April 2019. HyPerformance Mens Breeches are made from Agate Cool Fabric containing 30% Polyamide, 63% Cotton and 7% Lycra, with stretch leather knee patches. Traditionally styled with a pleated front, side pockets with a stud closure and back pocket with stud closure. Machine washable at 40C. Leg length: Regular. 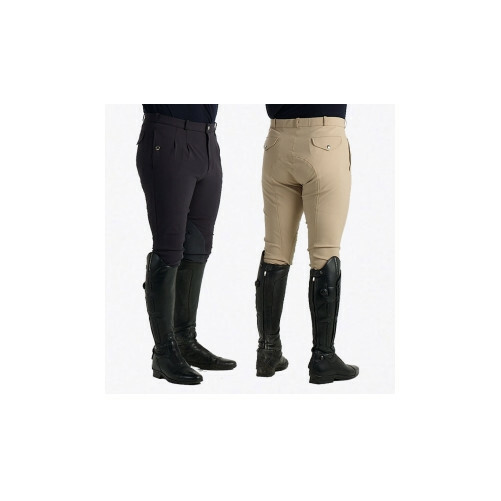 There are currently no questions for HyPERFORMANCE Mens Breeches - be the first to ask one!